With hack after hack hitting the headlines, keeping control of your data and your passwords safe is as important now as ever, which is why Dashlane has launched a version of its password manager aimed at business users. While it obviously does all the sort of things its consumer-facing offering does – remembers your passwords, generates new ones, allows you to store secure notes, logs you into websites and apps etc. – it also brings a few options specifically for businesses and IT admins. For example, the password sharing option has been tweaked to allow managers to share categories of passwords with their team, rather than individual passwords. You can also assign limited rights for shared passwords, and there’s the option to revoke it at any point, which is handy when someone leaves the company. 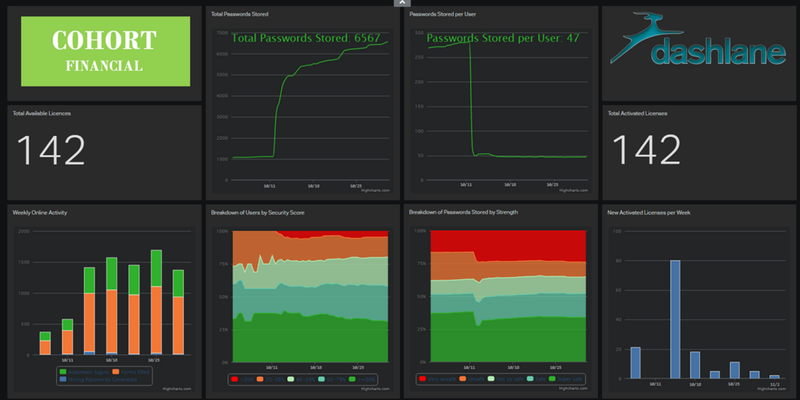 Dashlane for Business also brings the ‘Health Dashboard’ that’s present in the single-user version, but extends it to show overall wellness on both the individual and team level. Dashlane for Business is available with new volume discounts for organizations, or if you want to try it first, there’s an 30 day/30 user trial subscription.